How much is Kareem McKenzie Worth? Kareem McKenzie Net Worth: Kareem McKenzie is a former American professional football player who has a net worth of $13 million. Kareem McKenzie was born in Trenton, New Jersey, in 1979. He played college football for the Penn State Nittany Lions. The New York Jets drafted the six-foot-six, 327-pound offensive tackle with the 79th overall pick during the third round of the 2001 NFL Draft. He only appeared in eight games during his rookie season in New York and didn't record a single start until he started all 16 games during the 2002 season. 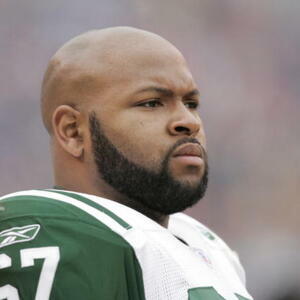 He played with the Jets until 2004 before joining the neighboring New York Giants as a free agent from 2005 until 2011. McKenzie has been on two championship-winning teams with the Giants: Super Bowl XLII, in which the Giants knocked off the then-undefeated New England Patriots in February 2008, and Super Bowl XLVI, in which the Giants again beat the Patriots in February 2012. McKenzie played in 157 career games, starting 149 of them. He ran a 5.33 40-yard dash at the start of his pro career. McKenzie has not played since his free agent deal with the Giants expired following the 2011 season and the team opted not to sign him to a new contract.